One of the first things I felt when I discovered the Classical model of educating and specifically, Classical Conversations®, was sadness that I didn't discover it when my son was younger. Although, I was still aware that the weekly classroom style setting wouldn't work for him, even if it was just one day - it was the structure, beauty and simplicity of the curriculum and the idea of the Trivium that really spoke to me for him. Mrs. Swope manages to demystify the classical education model for families that have special needs children. She clearly articulates how the stereotypes of a classical education - being rigid and inflexible, are untrue. She shows how the converse is true, allowing a parent to adapt easily to any level of functioning a child may be at. She goes one step further as she shows how a classical education is actually better fitted to children with special needs than the current, progressive models of special education because of it's individualized, ordered, integrative and formative approach - which serves children with cognitive problems best! She emphasis the intellectual, aesthetic, moral and spiritual growth of children with special needs, that is so often overlooked in favor of behavior based models of education, that are based on punishments and reward systems. So who talks about the preface of a book? I do - because it was powerful for me! Even before you step into Chapter 1, Mrs Swope discusses the dramatic affect of Annie Sullivan on Helen Keller. We are probably all familiar with that story of the mute, blind, uncivilized child that Ms. Sullivan agrees to take on and eventually teaches to become a lovely, accomplished young woman! Well, I never gave it any thought - till she pointed out so clearly, that what Helen Keller received from Mrs. Sullivan was a CLASSICAL EDUCATION! The preface spoke to me because Mason has his own "Annie Sullivan". Her name is Brittney. She works in the quiet humility of little accolade, with steadfastness and diligence. She has been the one to help Mason achieve so much. She took over when I burned out. She corrected me when I wanted to give in or give up. She believed Mason could do more and she pushed him to do it. She continues to do it, for 12 years now. She deserves an award and lots of recognition, though she may never get it this side of heaven -but she doesn't care, because she works for an audience of One and always has. That's one of the most remarkable things about Brittney - her devotion to God and His calling on her life. Mason would not be where he is without her. She's been his "Annie Sullivan". I would not be able to do the things I do without her, either. She has supported and provided the backdrop for, every endeavor that God has called me to as well, throughout Mason's struggle. In times of doubt, I only had to look to Brittney to remind me consistently, that God hadn't left me or forsaken me. He was there step by step, working all things for good and His Glory through this remarkable young lady. This chapter focuses on Mrs. Swope's own personal story. The twins she adopted, the struggles they endured, the early interventions they pursued and their focus unapologetically on education. They integrated their therapies into their children's education, rather than allow therapies to be a replacement for education. They focused systematically on language - teaching parts of speech, vocabulary, and immersing them in rich cognitive appropriate literature. They also focused on the fine arts. Their story at this point in the book, comes to a climax of sorts - as they decide decisively, that homeschooling and a classical education is the right avenue for their children for the long term and they strike out to begin. Discussion begins in Chapter 2 regarding early intervention and whether or not enrolling in the public school system's preschool services, is the right path for their children and any child, is implied. They opted after weighing all the pros and cons, to educate their children classically at home, while they provided the needed therapies - privately. She then reflects back to her desire to teach from a young age and her experiences that molded that desire. She shares her rich experiences through the University years and the new-and-improved pedagogy being indoctrinated into the minds of those seeking to teach. She ultimately ends up with a master's degree in special education and a "Teaching of Reading Award". However, once faced with her own children's disabilities, she quickly realizes she is ill-equipped by her degree, to know how to teach her own children to read! She regroups and finds a path through classical education to begin to re-learn how to really teach children of any ability. Age 8 - Once we got diagnoses and medications to help him feel better! In this chapter you see how Mrs. Swope and her husband began to teach their children classically. There are recommendations for materials they found helpful and discussion regarding the gentle routine they eased into. She further shares details regarding their pursuits of grammar, writing, Greek and Latin, world history, American history, literature and logic with the children. She makes helpful suggestions for materials she found particularly beneficial in each subject matter discussed, for teaching struggling learners. Helpful information is shared regarding the structuring of leisure time for her children. (If you have a child with special needs, you know that can be one of the more challenging times in their day!) She then gives information about her own two children's diagnoses, challenges and testing results after educating classically, which are impressive. She is clear throughout, that a classical education will not remove the child's challenges. Rather, a "classical education simply provides a means by which the child can be educated - truly educated - in spite of his or her challenges". She keeps things real and attainable but the results are encouraging, as you read her own personal journey. I knew that what the public school was offering him at the time, was woefully inadequate for him. However, I didn't really have any strong guidance on what to do. I knew he loved anything sensory related. The messier, faster, squishier or louder the better. He needed movement and couldn't sit still. I instinctively began making things "hands-on" for him to learn. Encouraged by a neighbor who was a children's choir teacher, who kept urging me that Mason was musically inclined (we later discovered he had perfect pitch), I got him piano lessons with a special needs piano teacher and a piano for home. We listened to classical music and lots of music, we read tons of books all throughout the day because he had a natural affinity for reading. We learned phonics and spelling, which he loved. We spent long periods of time reading Bible stories and memorizing lots of scripture verses because as it turned out, he had an exceptional memory. I combined sensory with learning, as often as I could. I used funny sounds, weird tactile balls, sand boxes, chalk, water - you name it - I tried it, to see what would reach this child and how would he respond best and learn. I made LOTS and LOTS of things - LOTS! Mason required intensive, hands on learning and he was a BUSY little guy. While the education I gave him wasn't "classical" at the time, it was integrated and had fine arts as a component of it. Mrs. Swope explains a classical education and describes what it is with simplicity and skill. She talks about the formation of a child's mind and character. She makes distinctions between formative vs. instrumental, classical scholar vs. classically educated individual, modern education vs. classical education models and humble vs. haughty and more. She then dives into what the seven liberal arts are of a classical education and how to approach them for special needs children. 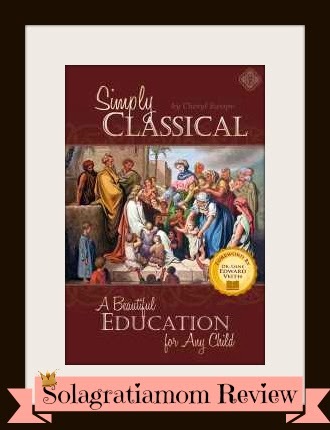 She encourages the reader by the end of the chapter to be grounded in the basics of a classical education so they can begin to modify it for their individual child's needs, without losing the "aims and purposes essential to this rich tradition" we now call a classical education. I've been hearing a lot about Classical Education lately. I am one of those who has formed the opinion, perhaps wrongfully so, that a Classical Education wouldn't be a good fit for special needs kids. Of course, whether it would be or not would depend in part on the type and degree of disability I suppose. I look forward to reading the next part of the review. Thanks for sharing this post at Friendship Friday! I just want to thank you for this very thorough review and the unique way in which you incorporated your own story! I've been riding the fence on whether or not to purchase this book for quite some time. 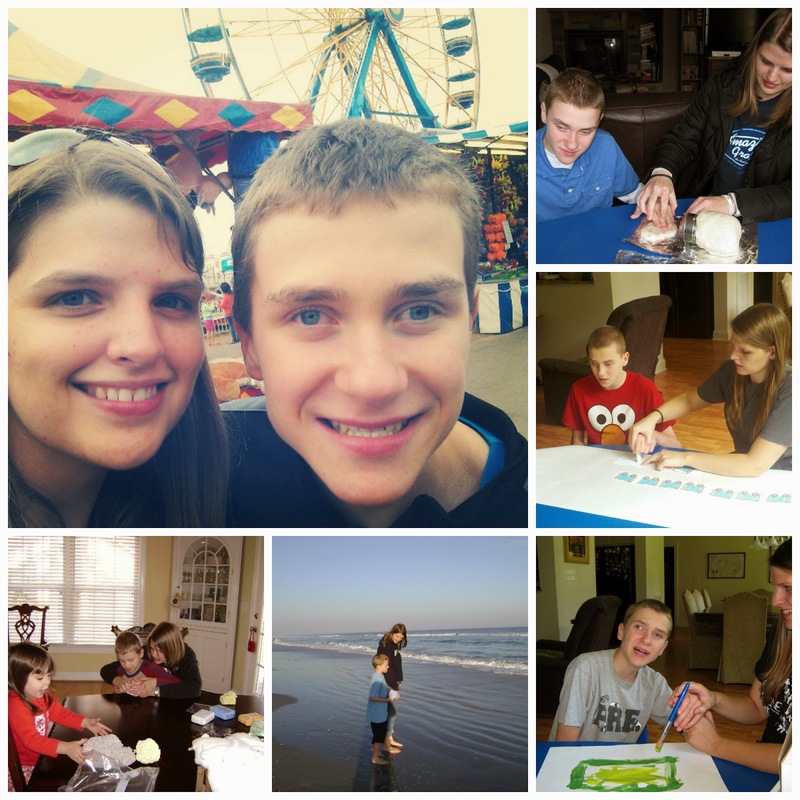 At the same time, grappling with the decision to continue homeschooling my 8 year old son with Down Syndrome. I am hopeful this book will provide me with a renewed vision for the future of my son's education!